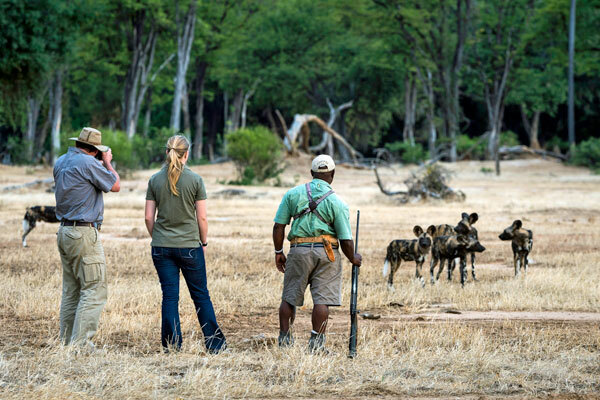 Walking safaris are intense, thrilling and fascinating. 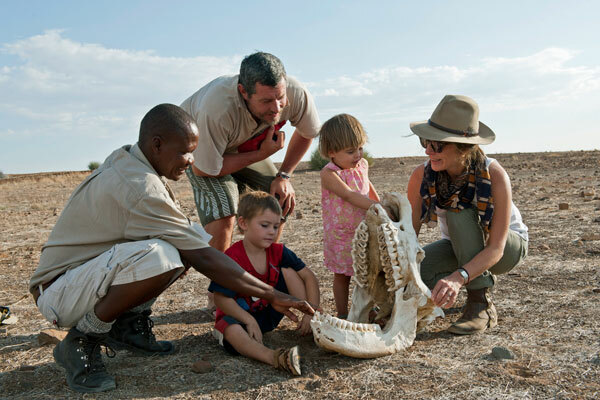 Walking with an expert guide allows you to hear, smell, touch, and see every detail of Africa. It enlivens the senses and you see the small things that are invisible from a vehicle. You won’t get quite as close or travel as far, but get out of the vehicle and you won’t look back. 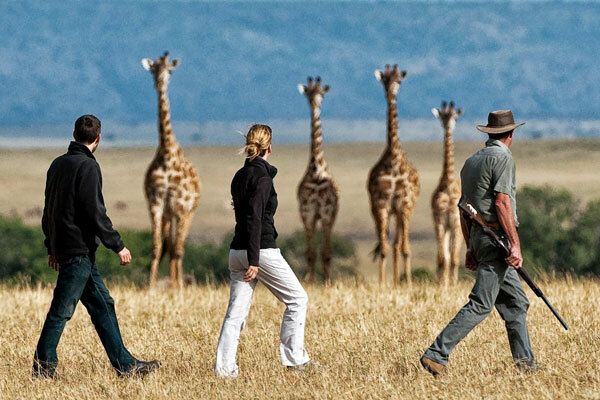 Many safari camps offer part or full day walks. 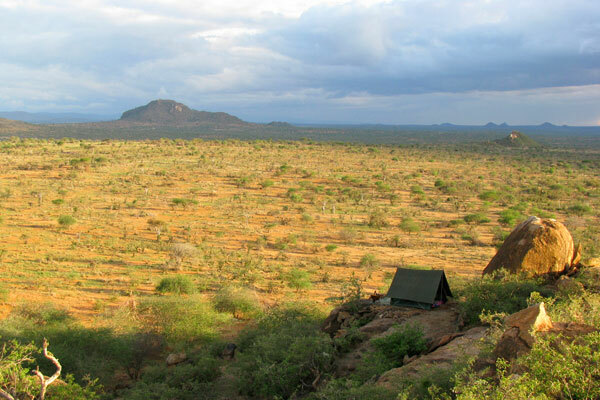 If you are more adventurous you can spend several days out in the bush, walking between camps, or even having the camp move with you. Experienced guides can teach you a plethora of bush survival skills and bring every little thing to life. Even children can enjoy exploring on foot in some places – they’ll love looking at bones, footprints and poo! 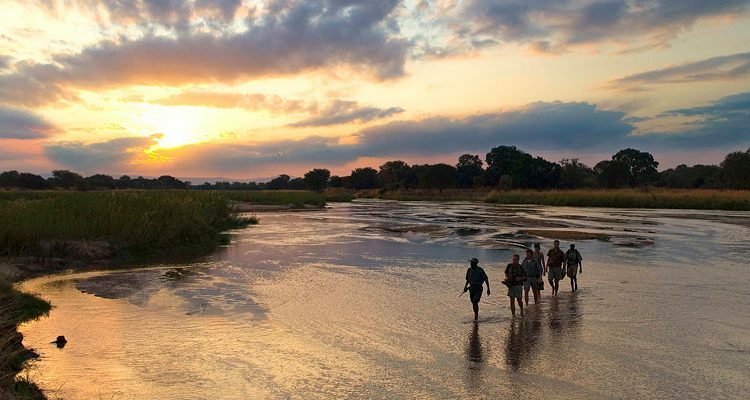 Head to East Africa for the chance to walk with Samburu and Masai guides or look at Zambia and Zimbabwe for fabulous multi-day safaris. 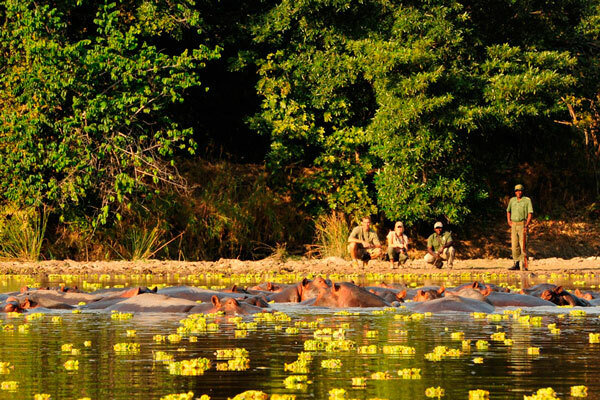 Malawi provides wonderful walking in rolling hills while many Southern African lodges offer super half day options. 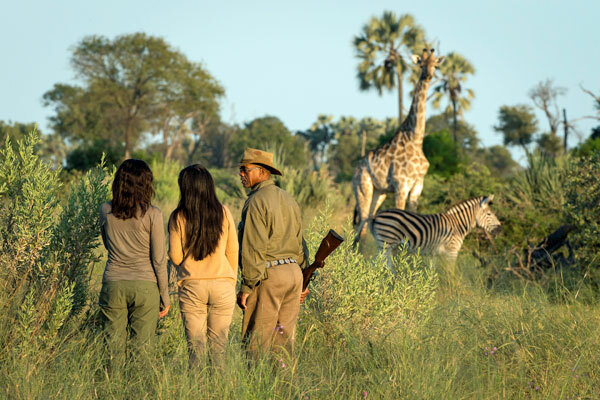 Botswana’s pristine wilderness and extraordinarily varied landscape rivals Namibia for scenic beauty while exploring on foot. Where ever you walk, it won’t be a route march, but more akin to a gentle stroll through the bush at a pace that suits the heat and amount of wildlife in the area. Most walking is in the early morning or late afternoon when it’s cooler. You’ll usually walk for two to four hours with a good break in the middle of the day. Wildlife is mostly more wary of humans than you might think but it is vital you pay attention to your guide and do as instructed. The food on a walking safari can be one of the biggest surprises with chefs conjuring up culinary miracles over an open fire. 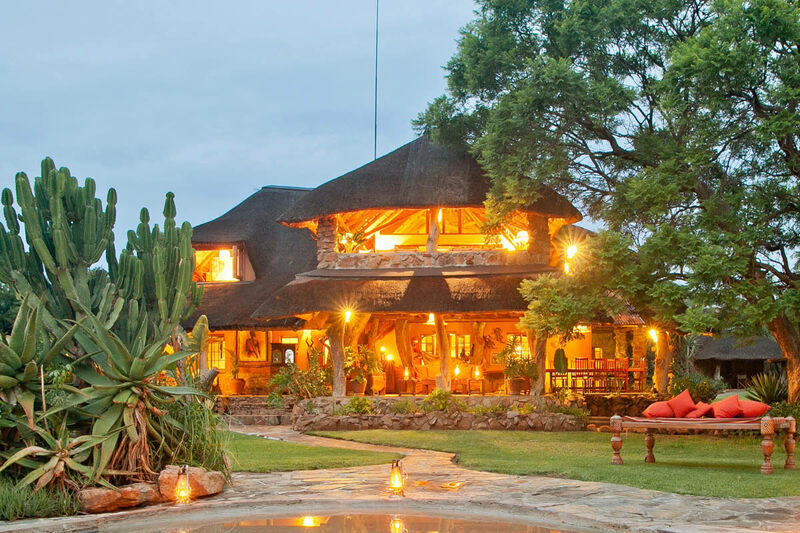 You’ll likely be surprised by the level of comfort on a multi-day walking safari. 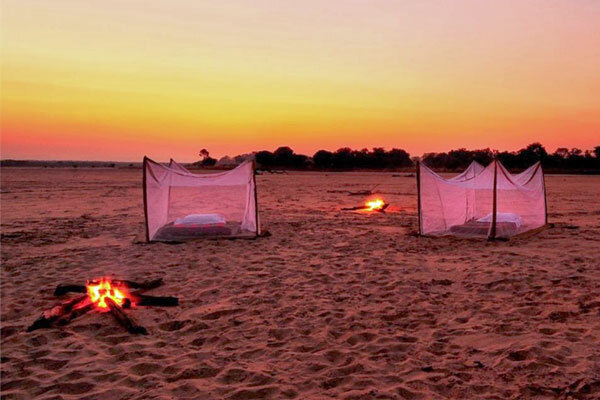 Tents are equipped with lovely linen, decent beds and hot water. There’ll be a bar with chilled drinks, and of course the amazing food. You won’t have to help with the camp and it will generally reappear like magic in the new site each day. 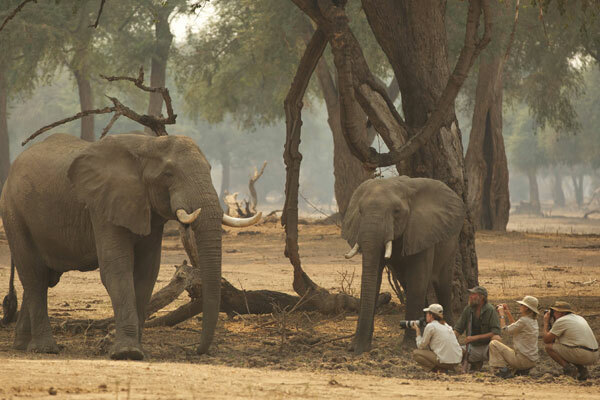 Full-day walking safaris in Zambia’s South Luangwa National Park. 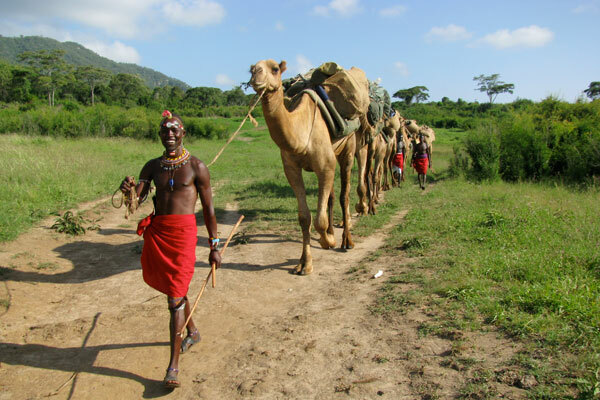 It’s where walking safaris were pioneered and still offers some of the finest. 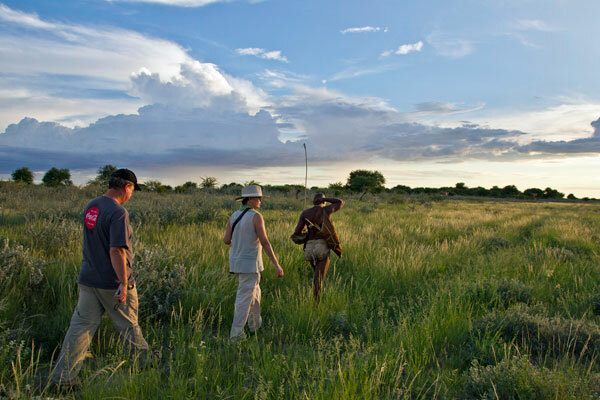 Walking with the Kalahari Bushmen in Botswana’s Makgadikgadi Pans. Learn the ways of the bush from Africa’s most ancient people, who have lived with nature for 40,000 years instead of changing it to suit them. Gorilla tracking in Uganda and Rwanda. 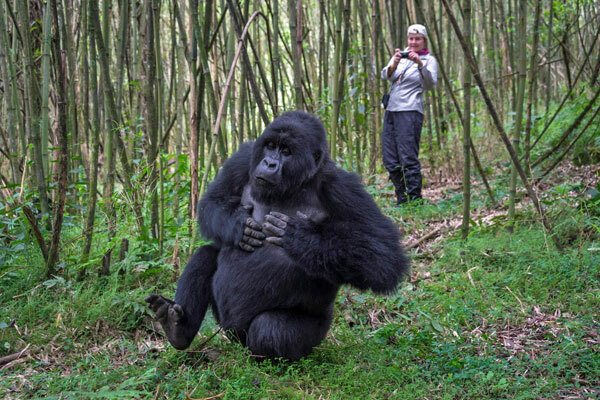 There’s little to top an encounter with the mountain gorillas, one of our closest relatives. 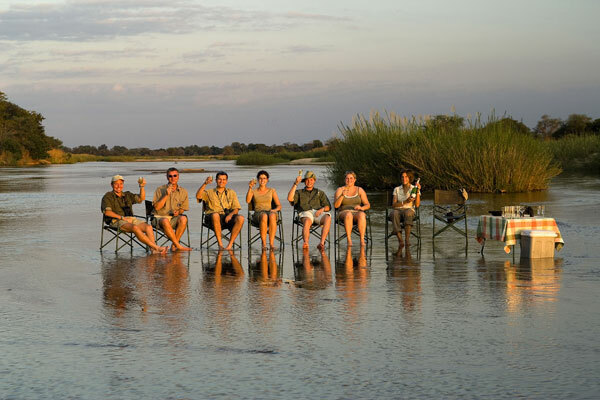 We would be delighted to help you plan a holiday, or answer any questions about walking safaris. 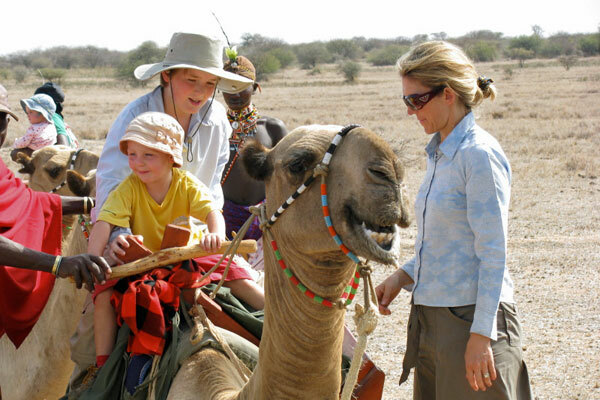 Our team of experts have travelled widely throughout Africa. 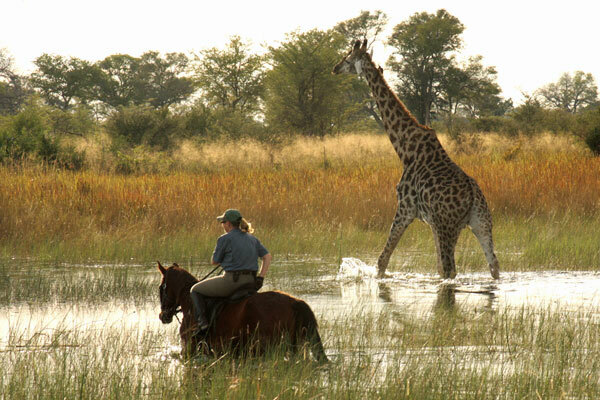 They can offer expert advice on every type of safari from family and beach holidays to riding and primate safaris. If you would like to talk to someone who has been there and done it, please just send us an email or give us a call.